The Swede Dreamer A Way Of Life: Update on the tattoo! 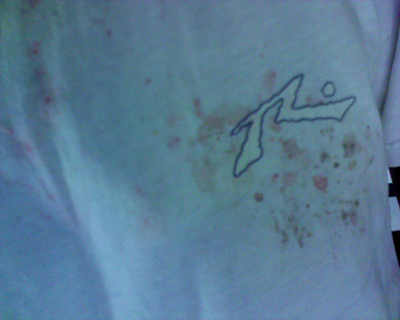 Okeh, here is a picture of the t-shirt from this morning. I kept the plastic over the tattoo and slept in this t-shirt.